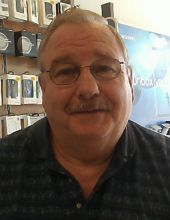 Roy William Brown, 68, of Tazewell, VA, formerly of Yukon, WV, passed away Sunday, February 10, 2019 at his residence. Roy was born March 1, 1950 in Saint Louis, MO, a son of the late Byrd and Claudette Shelton Brown. He was raised by his grandmother, the late Maggie Brown, on Slate Creek, VA, and was a retired coal miner and of the Holiness Faith. In addition to his parents, Byrd and Claudette Brown and his grandmother, Maggie Brown, Roy was preceded in death by his former in-laws, Sam and Dorothy Ward formerly of Yukon, WV. Survivors include his wife Bobbie Osborne Brown of London, KY; one daughter, Sandra M. Addair and husband Timmy of Bandy, VA; one son, Roy William Brown Jr., of Welaka, FL; grandchildren Roy William Brown III (Will), of War, WV; Faith Brown of Bluefield, WV, Rachel Lester of Bluefield, WV, Courtney McCoy of War, WV, and great grandchild, Kaylee Coeburn of Bluefield, WV; step children, Michael Sparks (Wendy) of Rockville, MD, Jason Sparks of London, KY, Eric Sparks (Tonya) of Louisville, KY; step grandchildren, Brynn and Liam Sparks, Jason Sparks, II and Kaylee and Tristan Sparks; and several brothers and sisters. Funeral services will be conducted Wednesday, February 13, 2019, at 11 o’clock with Reverend Charles Rose and Reverend Coy Baker officiating at the Yukon #2 Community Church at Yukon, WV. Burial will follow in Greenhills Memory Gardens at Claypool Hill, VA. Serving as pallbearers will be Robbie Ward, John Ward, Benton Ward, Frankie Ward, Joey Hass, Scott Hass Jason Bellamy and Will Brown. Friends may visit with the family Tuesday evening, February 12, 2019 at the Yukon #2 Community Church at Yukon, WV, after 6 p.m.
To send flowers or a remembrance gift to the family of Roy William Brown, please visit our Tribute Store. "Email Address" would like to share the life celebration of Roy William Brown. Click on the "link" to go to share a favorite memory or leave a condolence message for the family.